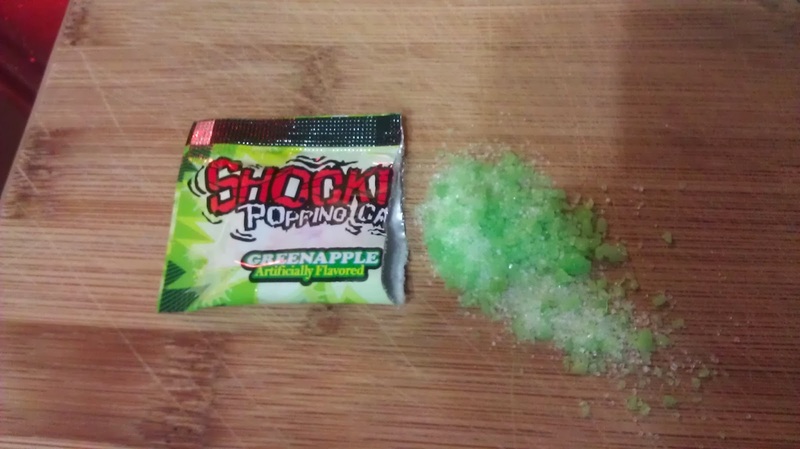 Pop Rocks. Sort of a bane of my vodka flavouring experience. Mind you this is just popping candy, but I put it in the same boat. 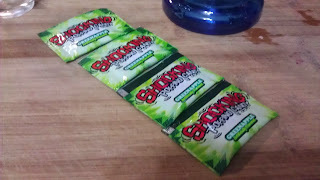 They're more of a novelty than an actual candy because they disappear so fast. There isn't too much flavouring, so you don't get to flavour a drink efficiently. 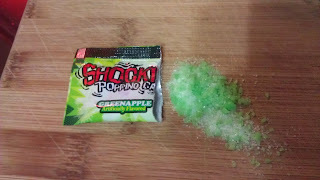 Secondly the novelty of the popping candy would be lost after infusing a drink, so there isn't much of a reason to do it. 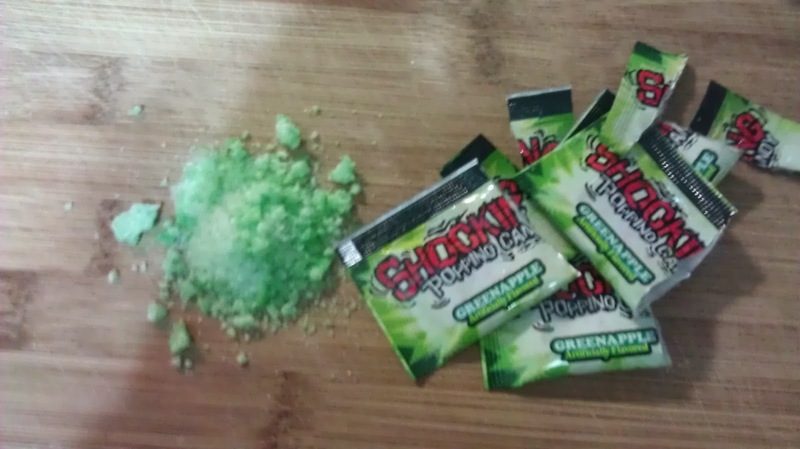 Hoping that my problem was strictly that I didn't have enough pop rocks, I decided to double down. Then I doubled it again to be sure I was right. 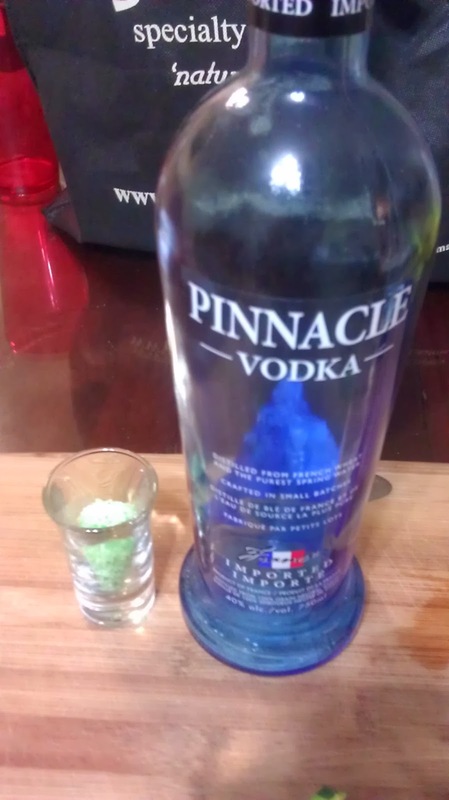 Bottle for scale... There were no bananas around to compare it with. And of course this fills up most of the glass. 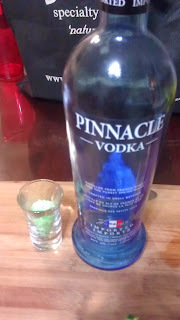 This reduces the total amount of vodka that can go in, but it's what has to happen. Of course this video would sum it up. Another little "shocking" video I guess. Unfortunately there is still a problem where it doesn't really flavour the vodka, and so you're still just gulping down straight vodka. 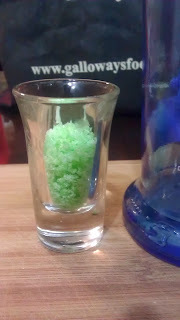 That's fine and all, but since the blog is about flavouring vodka, sadly it gets a low score. The candy was fine though!